David works in commercial litigation at a large New Zealand law firm. He graduated from the University of Auckland in 2009 with conjoint bachelors degrees in law and arts, completing his honours dissertation in law on New Zealand’s emissions trading scheme under Professor Klaus Bosselmann. In arts, he double-majored in politics and philosophy. In 2008, he was a senior editor of the Auckland University Law Review. While at University, he worked as a research assistant to Peter Sankoff, and attended the ‘Animal Law in Australia: A New Dialogue’ symposium in Brisbane in 2008. He tutored law from 2008-2010. He worked from 2009-2010 as a judges’ clerk at the Auckland High Court. He is passionate about ecological issues and animal rights. He has been vegan since 2004. He is a keen cyclist (completing the 2011 Rotorua to Taupo 100k Flyer with an average speed of 30.6km/hr and two training rides) and a hiker (having completed the Oxfam Trailwalker four times, twice with Team Vegan), justifying exercise on the sole ground that it lets him eat more delicious food. In addition to ecological issues, he is committed to social justice and youth empowerment. He was involved in the UN Youth from 2003 until early 2011, and in 2010 received the Wysocki-Bates Award for outstanding contribution to youth involvement in the UN. He is also a trustee of the P3 Foundation, a charitable trust dedicated to mobilising young New Zealanders against poverty. He also drinks enough coffee daily to kill your average man and subscribes to far too many blogs, receiving around 200 RSS updates per day (in fairness, about 60 of those come from the Guardian alone). Vernon was a founding member and 2009 President of the Society of Legal Vegans, the club at the University of Auckland Law School that is the genesis of this blog. He has been an elected member of the Waitematā Local Board of Auckland Council since 2013. His roles on the Local Board include Lead of the Heritage, Urban Design and Planning Portfolio and co-holder of the Transport portfolio. He is an enrolled Barrister and Solicitor of the High Court of New Zealand and after three years in legal practice now works as a business broker. Vernon regularly appears as a commentator on the AM Show, Newstalk ZB and Newshub Nation. He holds a Master of Laws degree (LL.M) with First Class Honours from the University of Auckland. 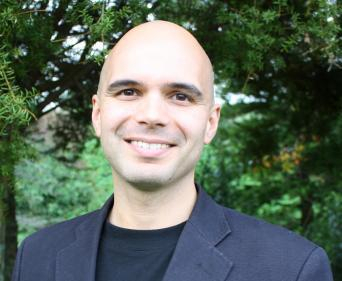 In 2014, he worked at the University of Auckland as a Professional Teaching Fellow at the Department of Planning, National Institute for Creative Arts and Industry (NICAI), and from 2011-2013 as a tutor in Jurisprudence at the Faculty of Law in the general streams as well as the Māori and Pasifika programes. He was a Research Fellow at the New Zealand Centre for Environmental Law from 2009 to 2011 working closely with Professor Klaus Bosselmann who was also his Masters thesis supervisor. Peter Sankoff, SoLVe’s patron and a former Senior Lecturer at the University of Auckland, Faculty of Law. He is the author or editor of four books, including Animal Law in Australasia: A New Dialogue – the first book published in the Southern Hemisphere to focus exclusively on animal law issues. Peter taught animal law at the University of Auckland from 2006 to 2009 when it was the only course of its type then being offered in New Zealand. He has taught animal law at Haifa University in Israel (2008), the University of Melbourne (2009) and Lewis and Clark University (2010). He has now returned to his native Canada, where he lectures at the University of Western Ontario and writes his own blog. 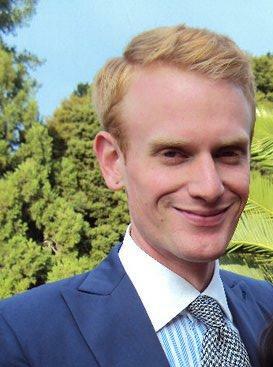 Edward Miller: Ed graduated from the University of Auckland and worked in criminal defence law and as a research assistant on transnational legal issues. He remains fascinated by all parts of the processes by which food comes to our tables, as well as by issues of global justice, poverty, human rights, international trade, and globalisation. James Roach: Another recent graduate of the University of Auckland, James now works for a government department in Wellington. He is still, of course, an avid cyclist and loves getting outdoors whether it is backpacking, hiking, or just going to the beach. While Peter, Ed, and James no longer regularly contribute to the Solution 2.0, we hope that they will post when their busy schedules and frequent travels allow.